Rescan Day for WOUB and WOUC-TV was Monday, February 25. Here’s What You Need to Know. WOUB and WOUC-TV are proud to serve our communities, providing viewers a lifeline during times of crisis, and the news, information and entertainment you rely on every day. And like all local broadcasters, our programming is free to viewers, available with an antenna. We are always on and always there for our communities in our greatest moments and most challenging hours. Though our commitment to serving our community will not change, we are preparing for another kind of change that will impact our antenna viewers. By law, nearly 1,000 TV stations nationwide must change frequencies to make room for wireless services. Our stations are included in this group. We are scheduled to move frequencies on Monday, February 25 at noon. This is our rescan day. Rescanning is when your TV finds all of the available channels in your area. So, what does this mean for you? 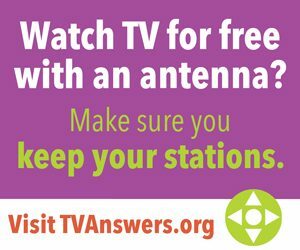 If you watch TV for free, over the air with an antenna, you will need to rescan your TV or converter box on Monday, February 25 after the noon hour to continue watching our station. Select “scan” or “autotune” from your TV or converter box control menu to start the scanning process. You can usually find instructions by pressing the “set-up” or “menu” buttons on your television or digital antenna remote control. Rescanning before February 25 will not work, as WOUB and WOUC-TV will not have moved yet. Although most viewers will not need to purchase new equipment, some viewers of WOUC-TV who have a UHF only antenna may need to replace the unit with an antenna that also receives VHF frequencies. Once your rescan is complete, you will still find WOUB and WOUC on the same channel number as before. If you pay a monthly fee for cable or satellite service, you do not need to rescan. Your service provider will do it for you. As TV stations are moving at different times, you may need to rescan your TV more than once – any time a local station changes frequencies. We at WOUB Public Media feel privileged to serve our community every day. We have been working hard to prepare for the technical challenges of changing frequencies and want to make this change as easy as possible for our viewers. Our station’s commitment to always be there for our community will never change. Our stations are moving frequencies on Monday, February 25 at noon. This is our rescan day. If you watch television for free with an antenna, you will need to rescan your TV set on this date to continue watching our station. Rescanning is when your TV finds all of the available channels in your area. Most viewers do not need to purchase new equipment or services, and those who watch WOUB and WOUC through a cable or satellite service do not need to rescan – your service provider will do it for you. Some viewers of WOUC who have a UHF only antenna may need to replace the unit with an antenna that also receives VHF frequencies. After you rescan your set, you’ll find our station on the same channel number. Remember – if you subscribe to cable or satellite TV you do not need to rescan. Your service provider will do it for you. To keep watching WOUB and WOUC-TV you will need to rescan your TV or converter box on Monday, February 25 after the noon hour. Select “scan” or “autotune” from your TV or converter box control menu to start the scanning process. You can usually find instructions by pressing the “set-up” or “menu” buttons on your television or digital antenna remote control. If you have difficulty, consult the owner’s manual for more detailed instructions on how to run a channel scan, or contact customer service for your TV or converter box manufacturer. As a reminder, the actual channel number that you see will not change. If you haven’t rescanned your TV recently, you may discover TV channels that you didn’t even know you were missing. Why are WOUB and WOUC-TV moving frequencies? The Federal Communications Commission (FCC), which regulates the public airwaves, held an auction to reallocate TV broadcast airwaves for wireless internet broadband services. Now nearly 1,000 TV stations are required to move frequencies to make room for wireless internet carriers. As directed by the FCC, TV stations will be moving frequencies at different times starting in 2018 through at least the spring of 2020. This may require viewers who use an antenna to watch TV to rescan more than once – each time a local station changes frequencies. Because TV stations in our area are moving at different times, you may need to rescan your TV sets more than once. Please stay tuned to your local channels for information and plan to rescan. You can find more information on these moves at TVAnswers.org. 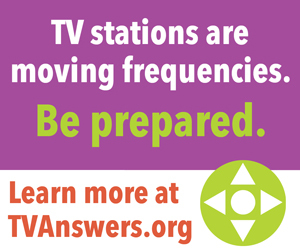 Just input your zip code, and you’ll see a schedule of when stations in your area will be moving frequencies. For questions, feel free to reach out to WOUB at woub@woub.org.